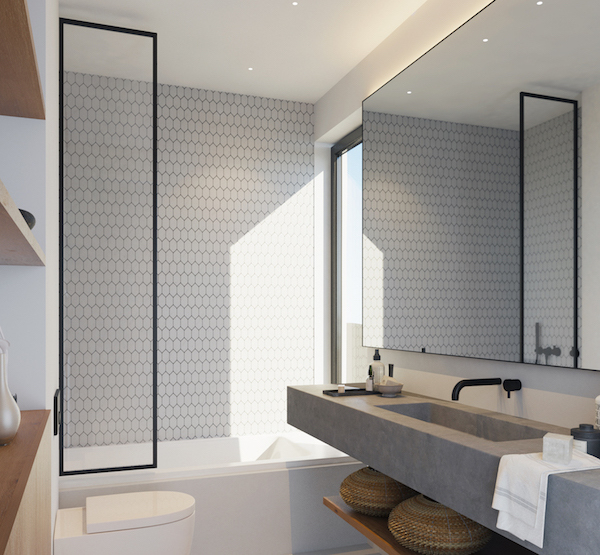 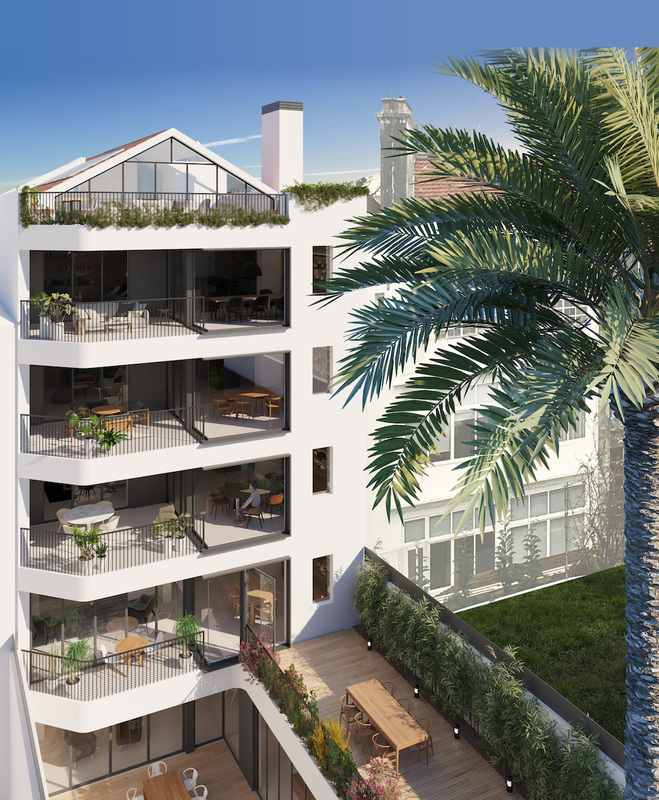 Salitre – high-end apartments in a renovated art-deco building in the heart of Lisbon, Principe Real. 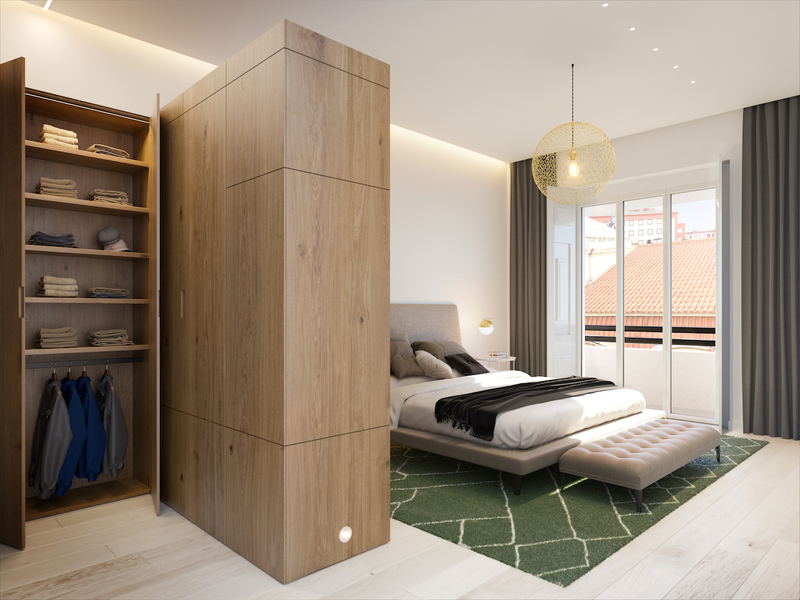 Settle into a dream apartment in the heart of Principe Real, one of the most sought-after neighbourhoods of Lisbon. 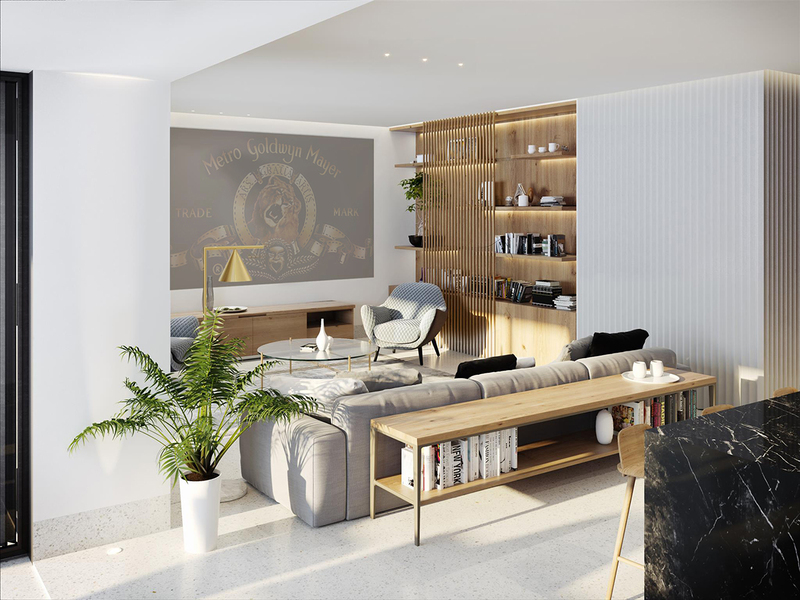 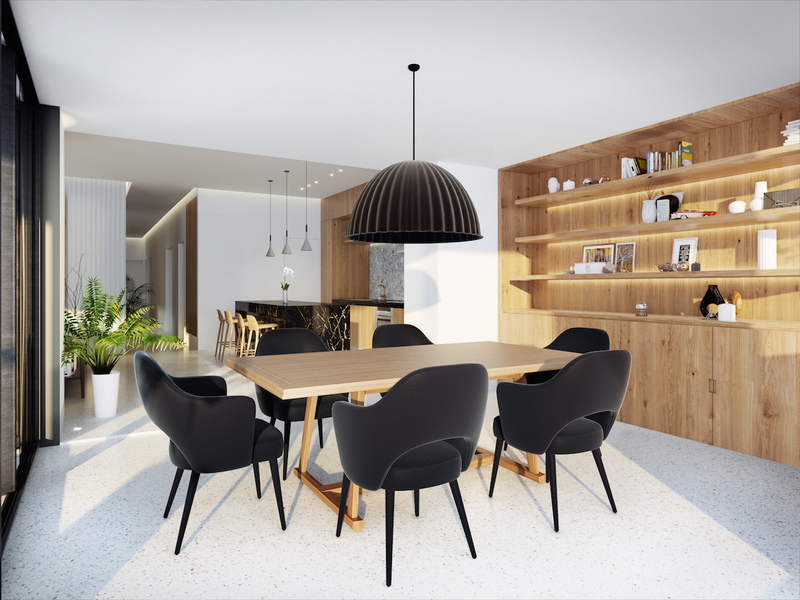 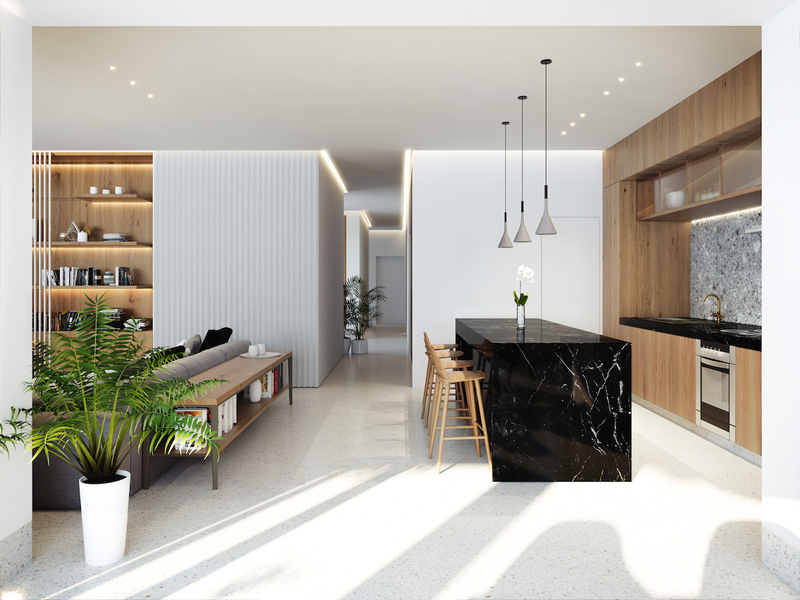 The building is located only 150m away from Largo Do Rato, 300m from Jardim de Principe Real and 500m from Avenida da Liberdade, in a neighbourhood combining concept stores, a former palace turned into high-end shops, cafés and trend-setting restaurants. 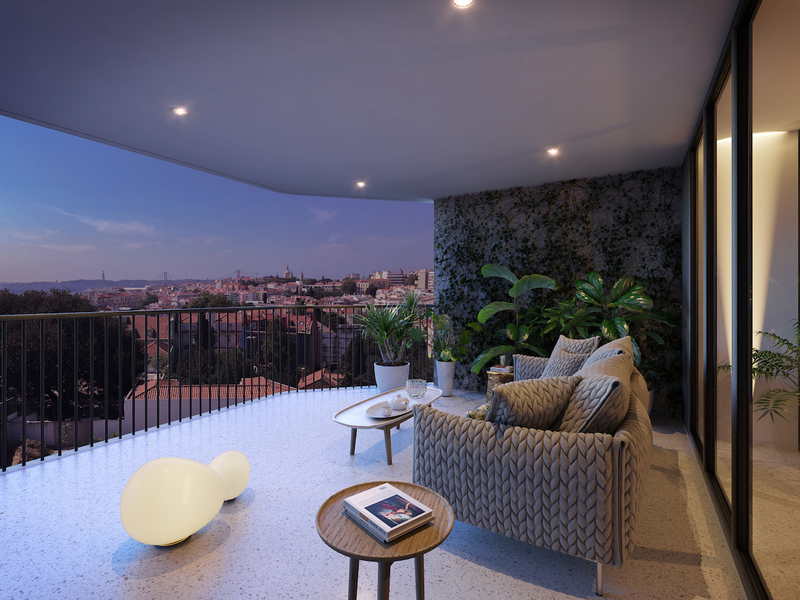 The area provides a unique mix of authenticity and contemporary spirit and is very much appreciated both by the wealthy original and newer residents of Lisbon. 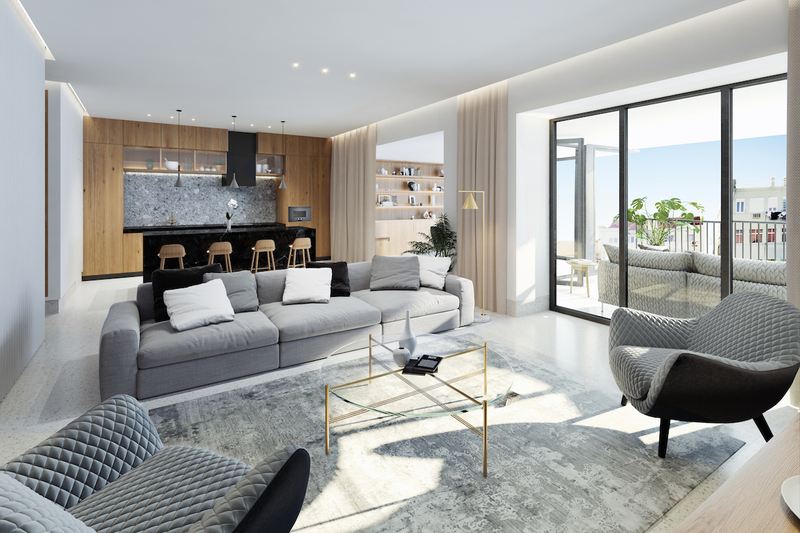 The Salitre building is made up of 6 luxurious designer apartments. 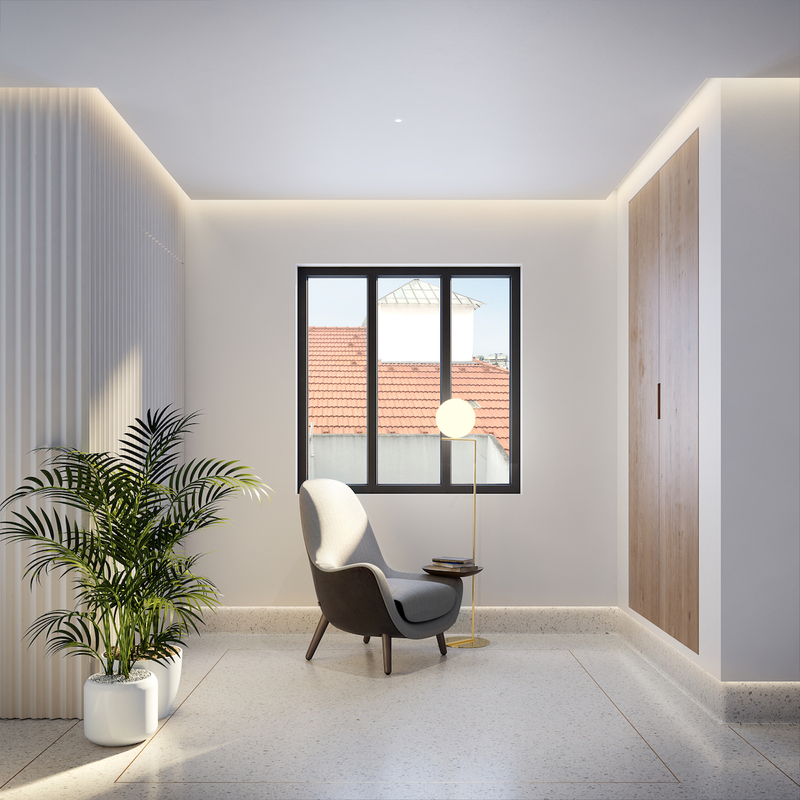 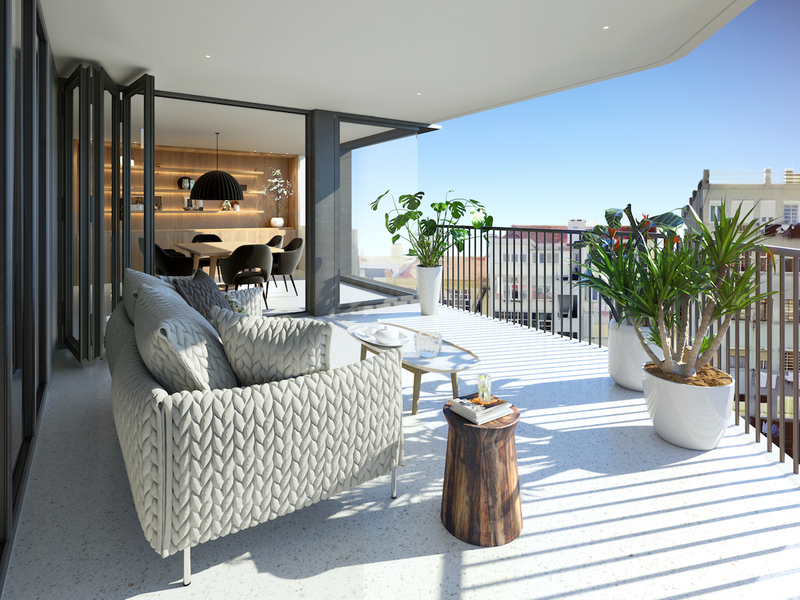 We decided to return the building back to its original splendour through these apartments which combine both quality of life and interior luxury. 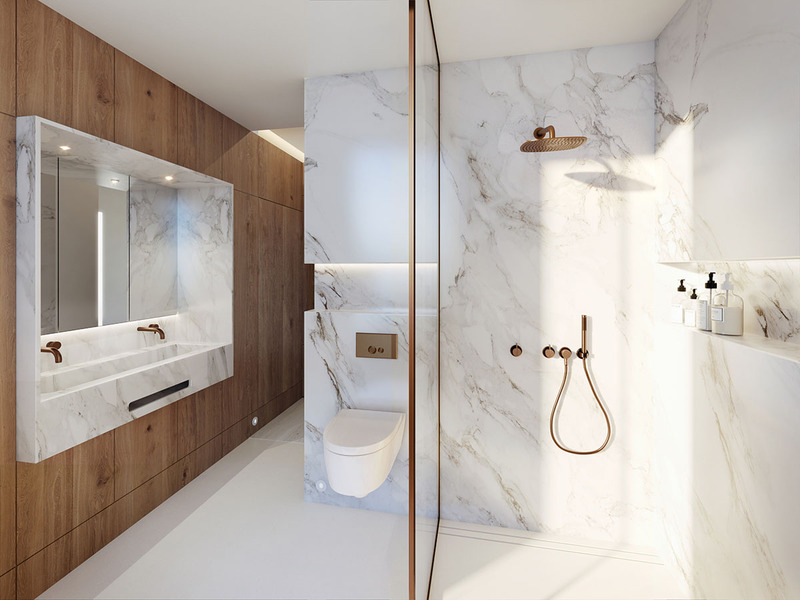 The finishings are extremely high-end which is reflected in the choice of materials as well as interior and exterior ambiances. 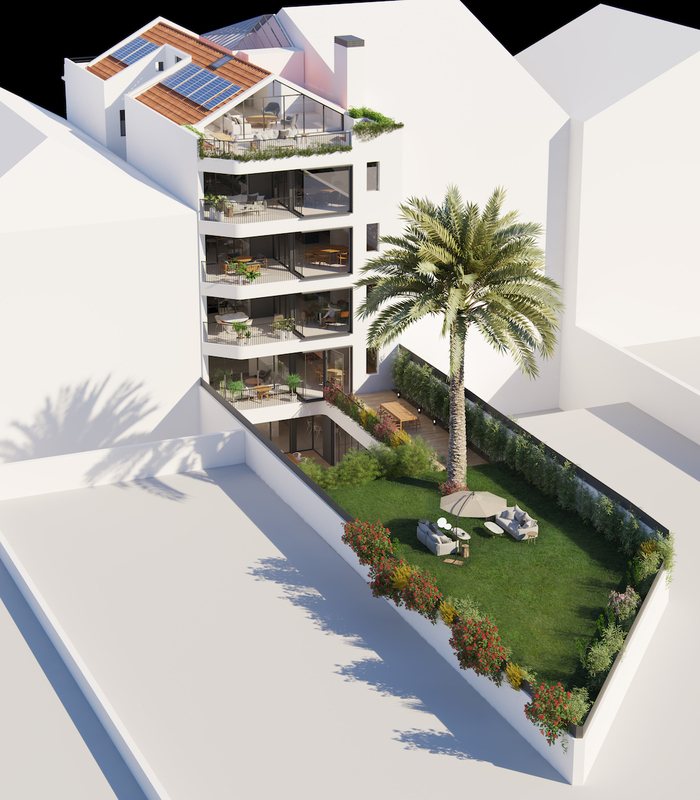 This apartment enjoys parking space and a garden to enjoy the beautiful Lisbon light all year long. 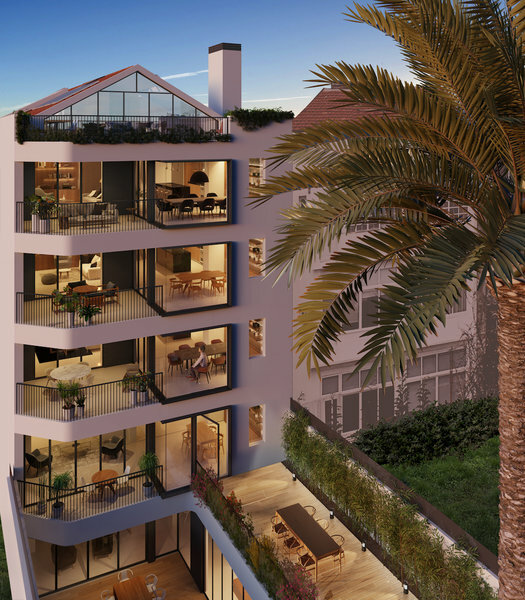 Salitre is an excellent choice for the Golden Visa investment or a home purchase.